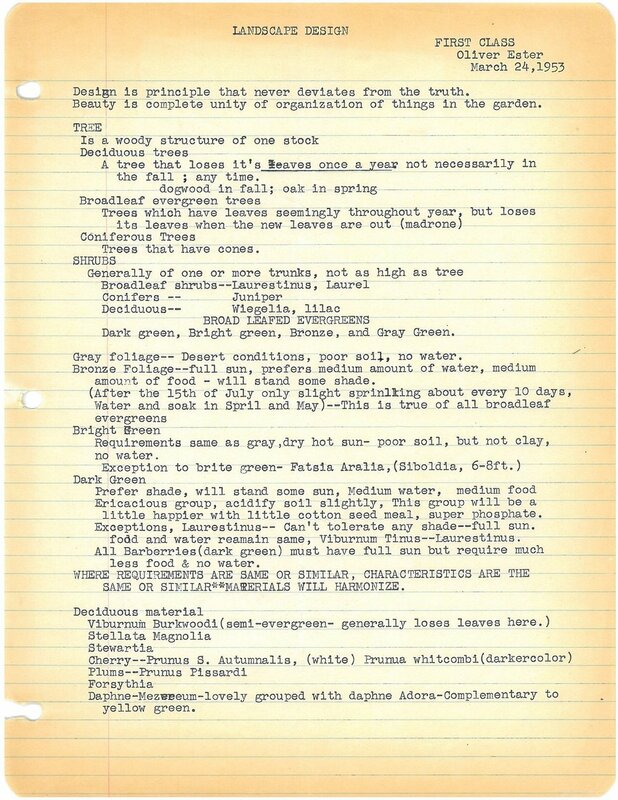 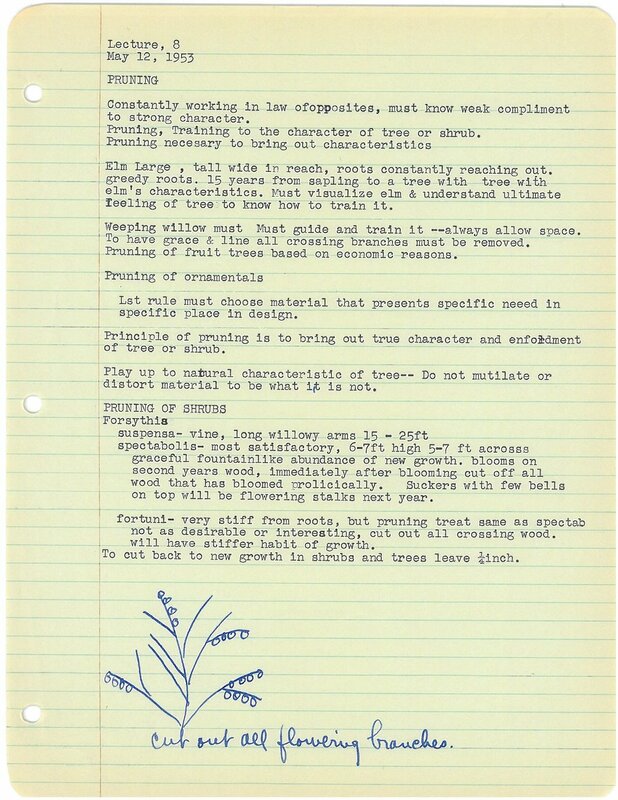 Mentioned in the previous post, Mary E. Pearson was active in Seattle's burgeoning ecological conservation culture. 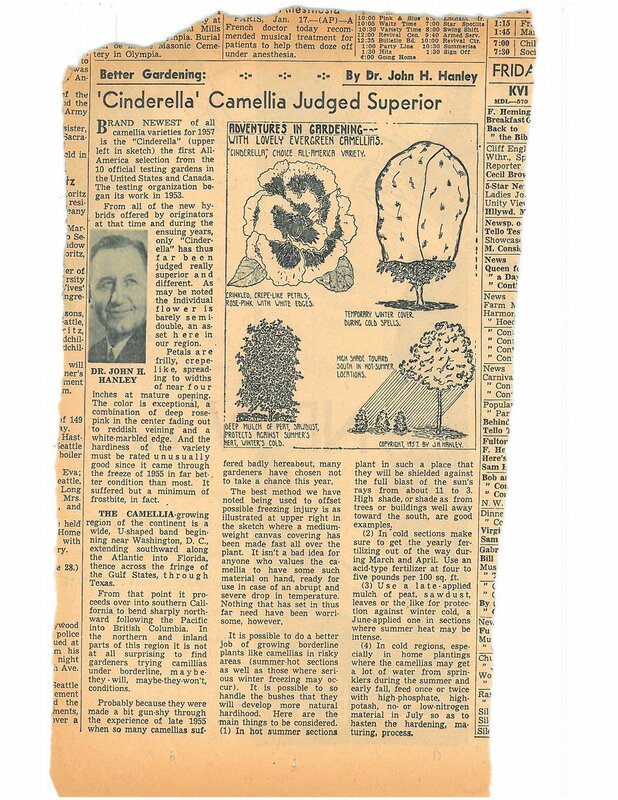 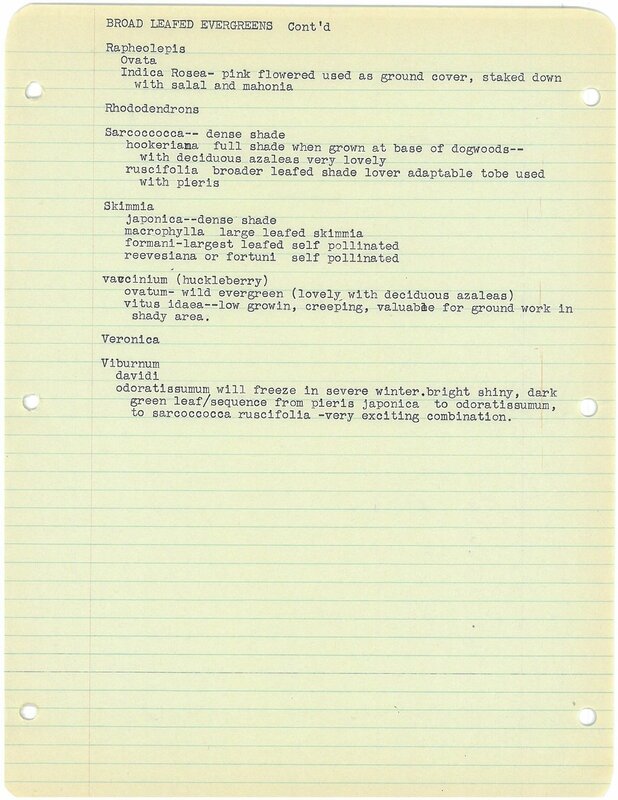 Prior to serving as First Vice Chairman of The Arboretum Foundation in 1958, Mrs. Pearson independently studied Pacific Northwest flora both on the rugged slopes of the Cascade Mountains and in the arboretums and parks of Seattle. 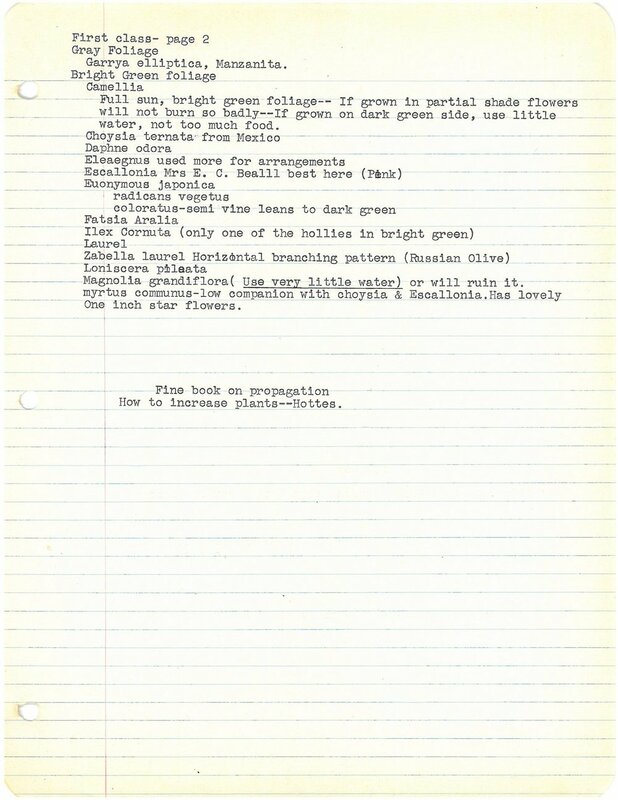 Botany and landscape design become her highest passion. 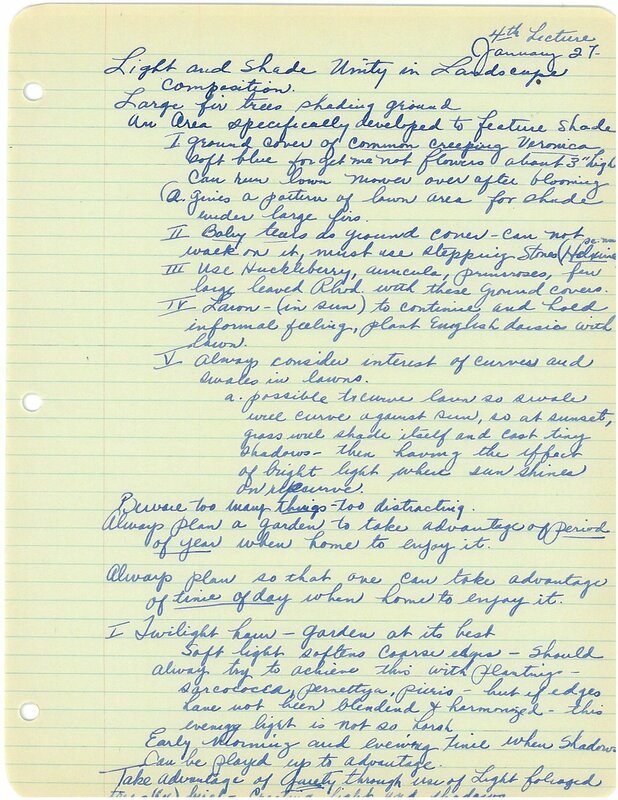 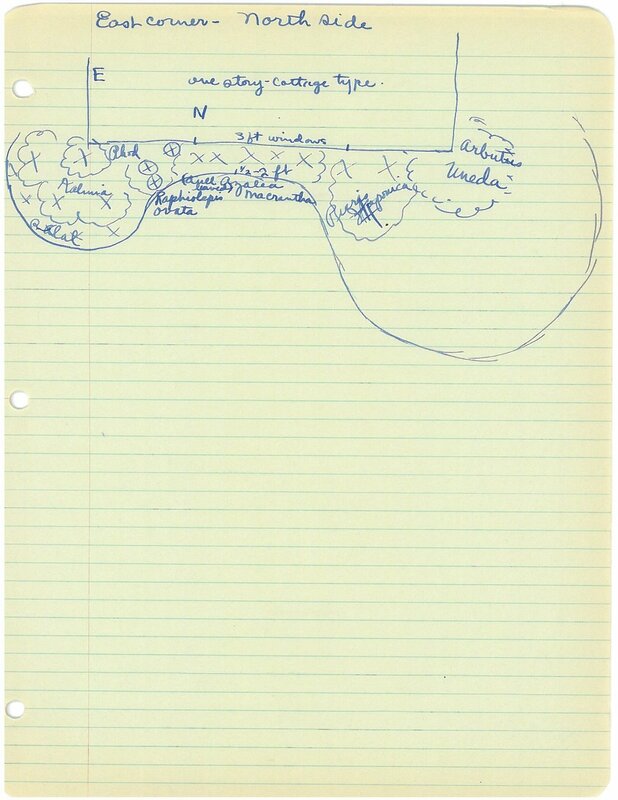 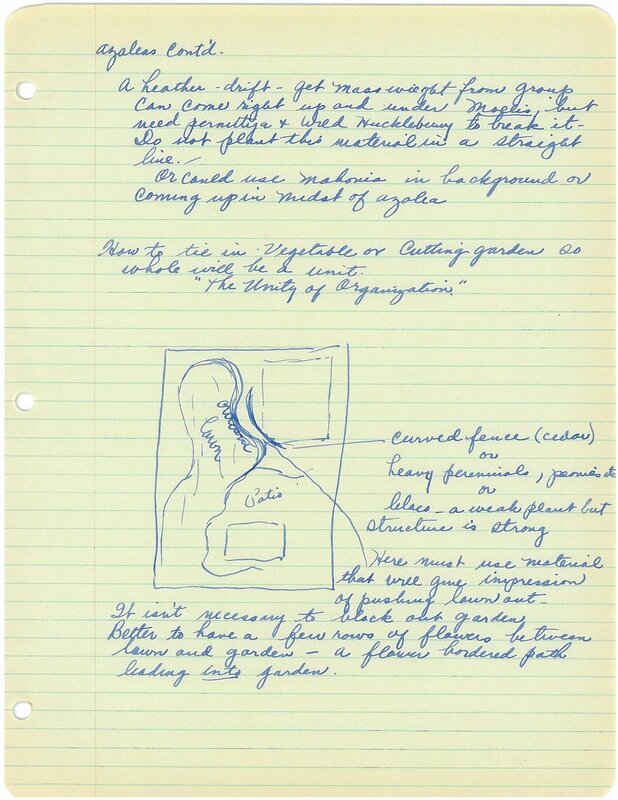 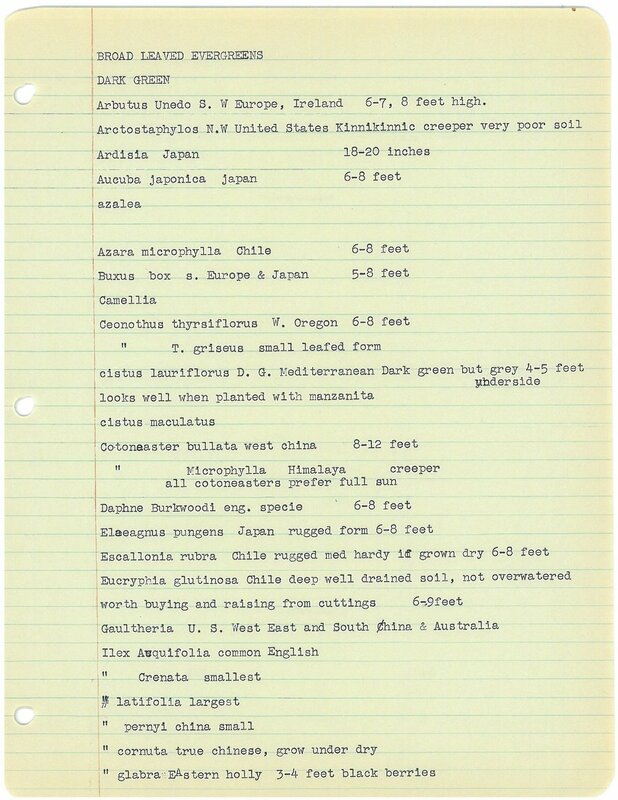 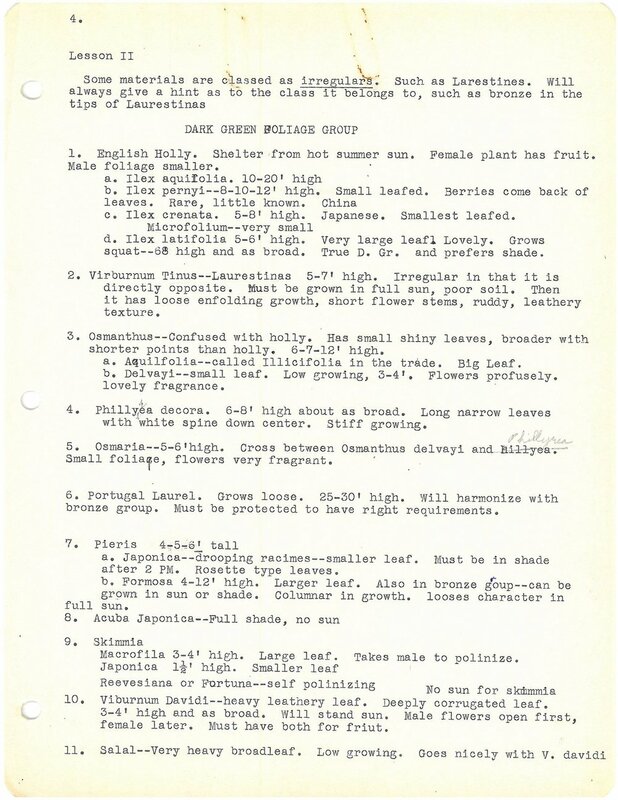 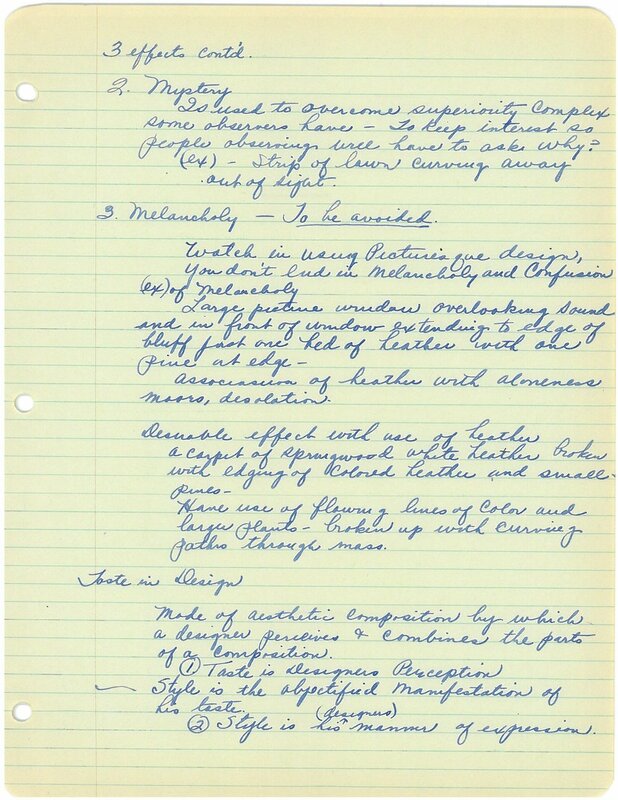 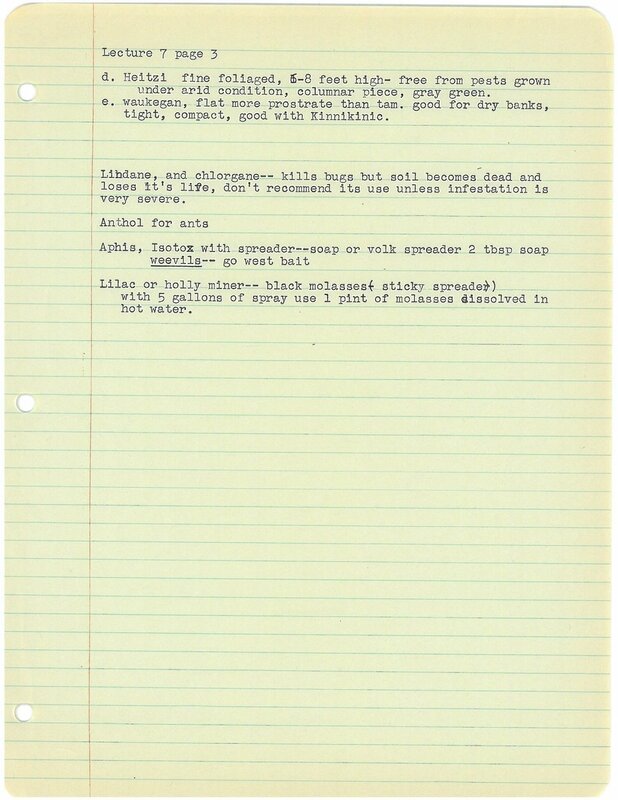 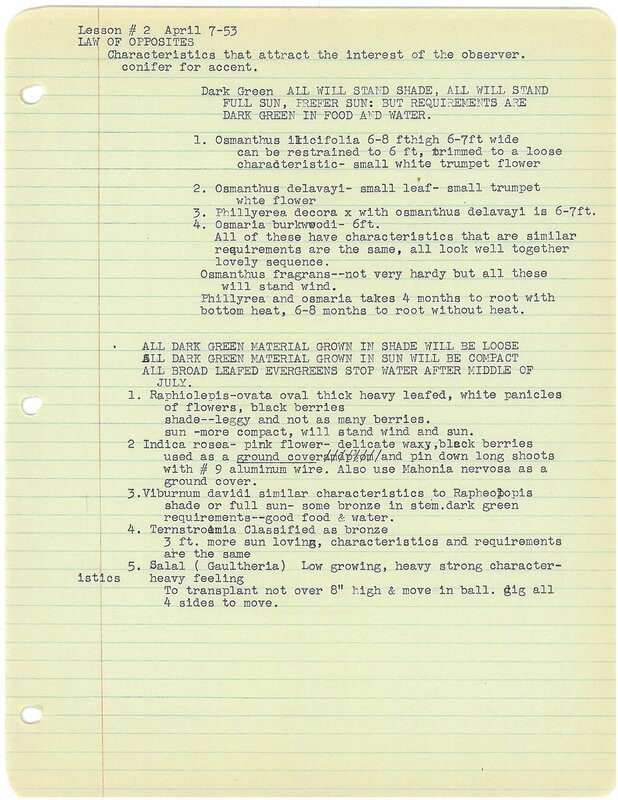 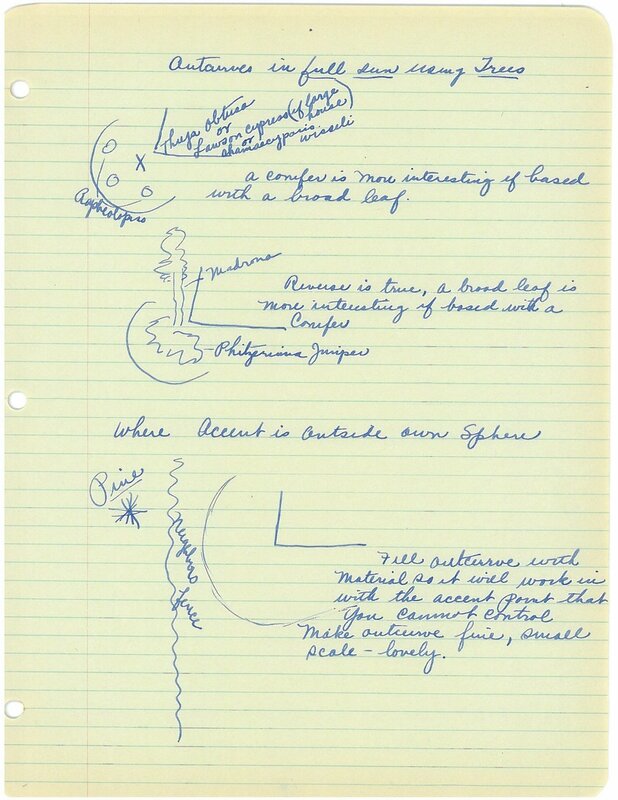 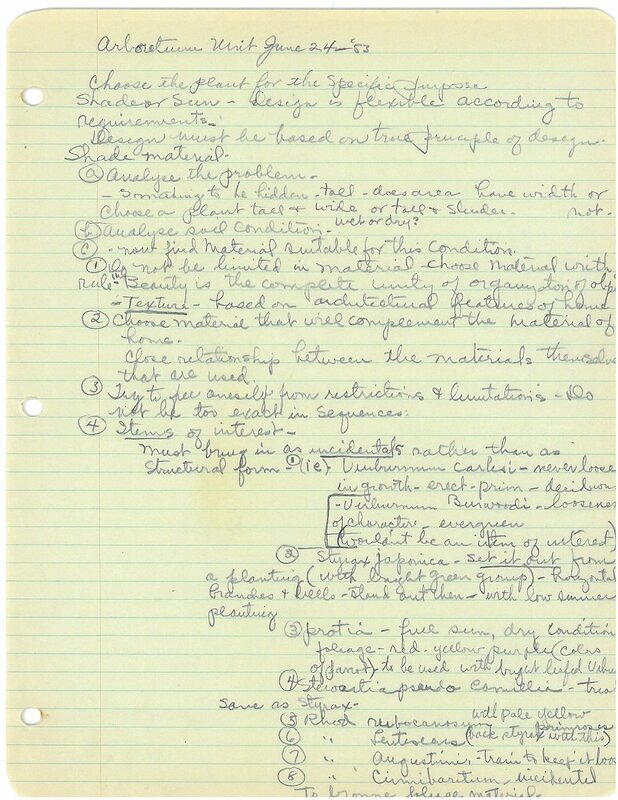 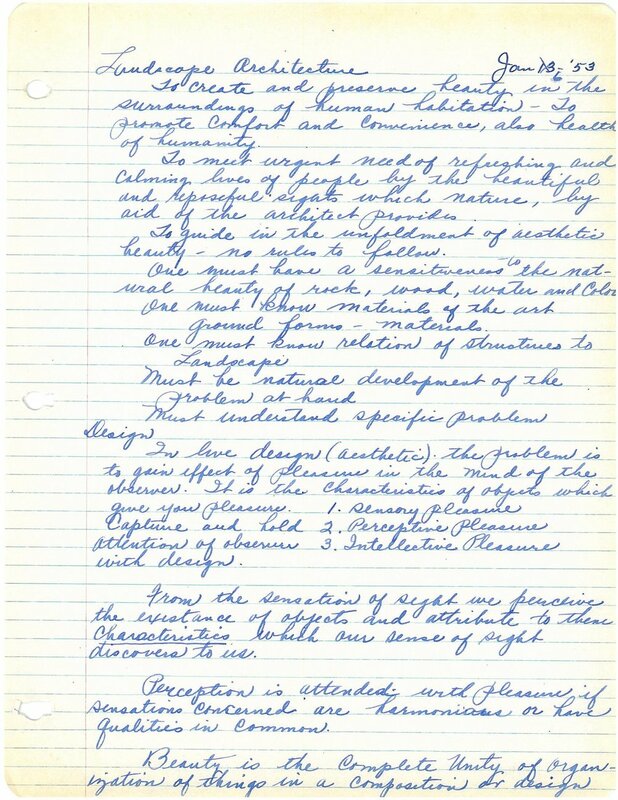 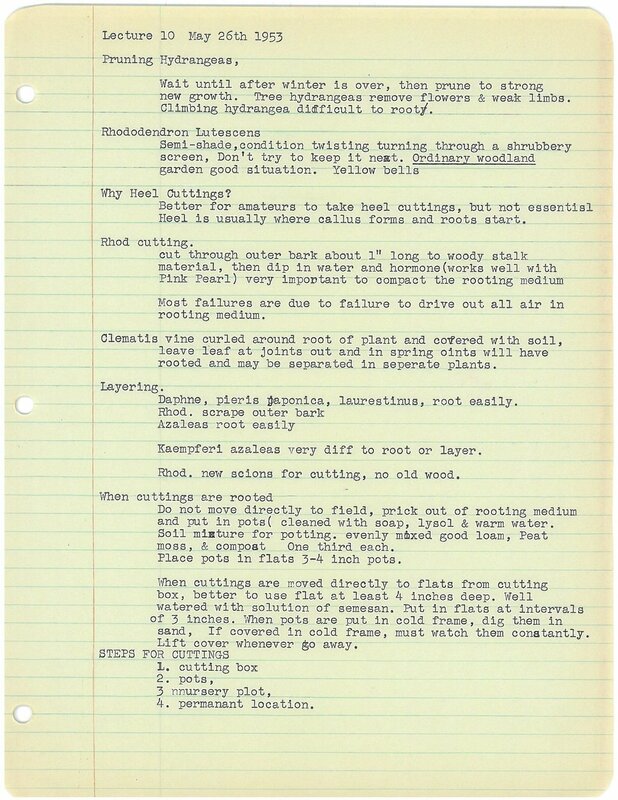 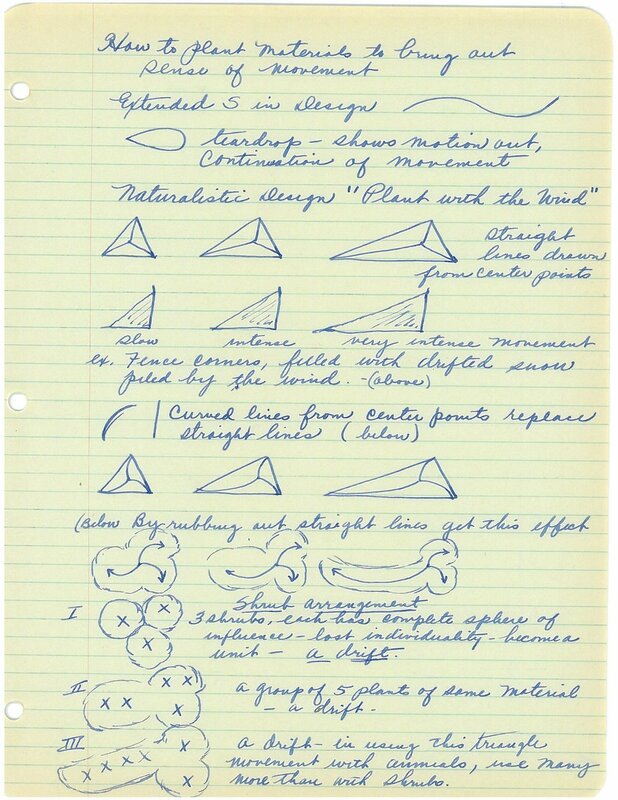 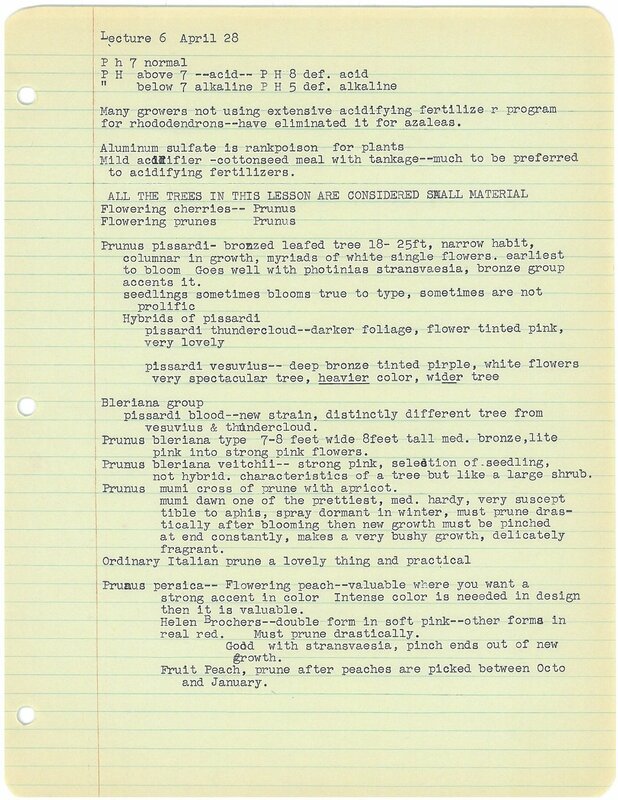 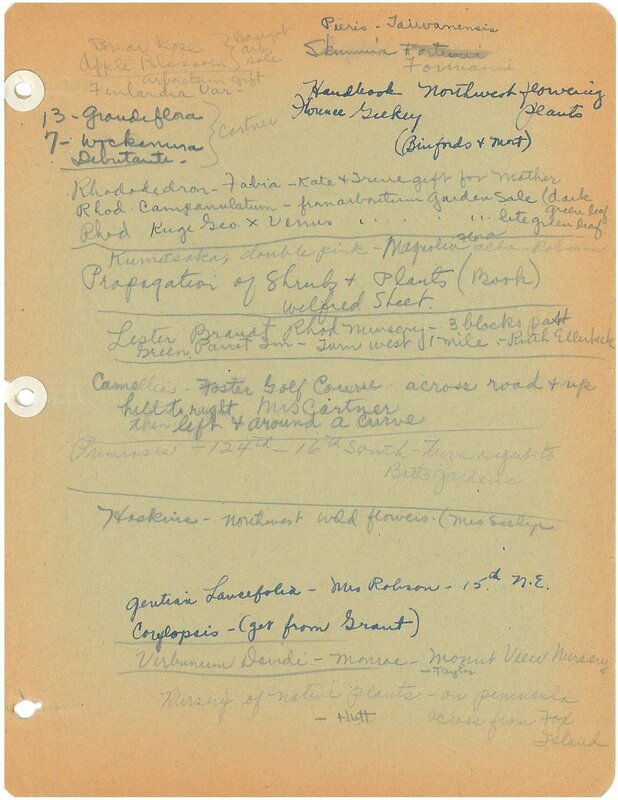 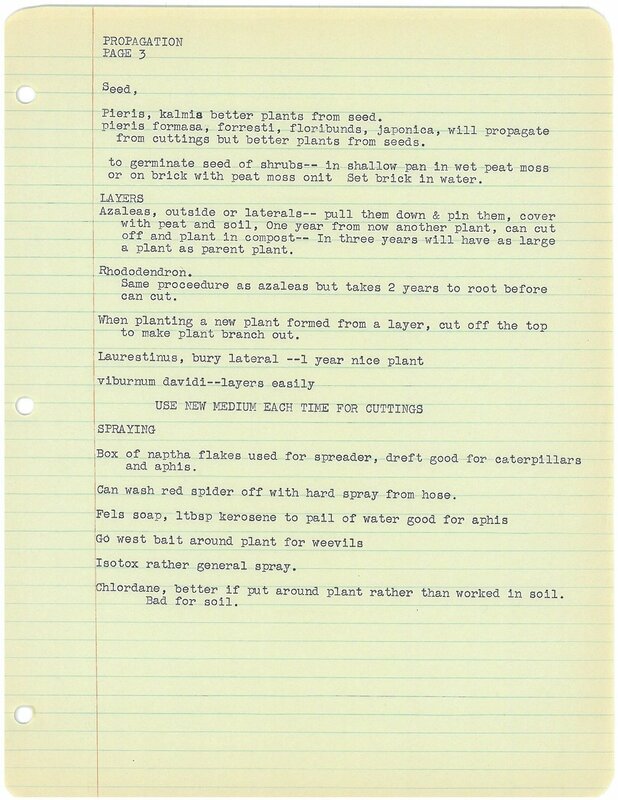 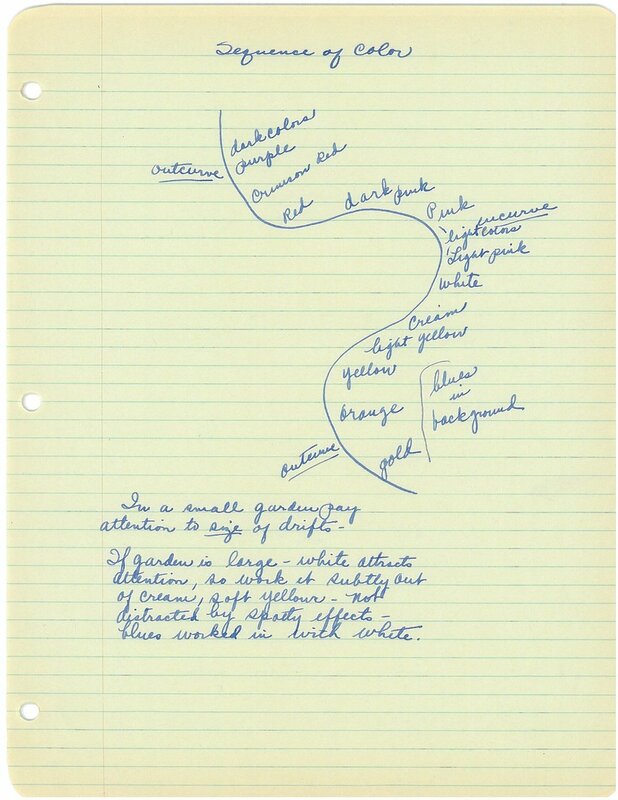 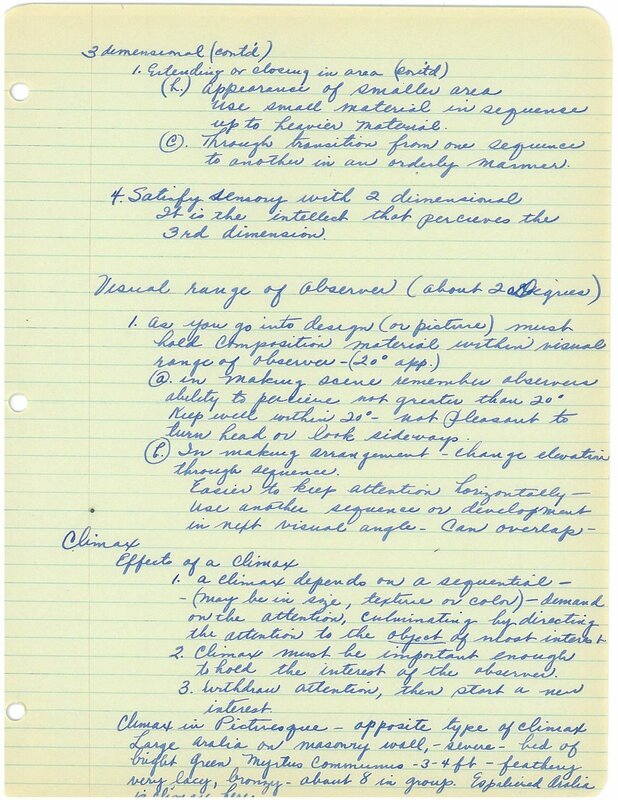 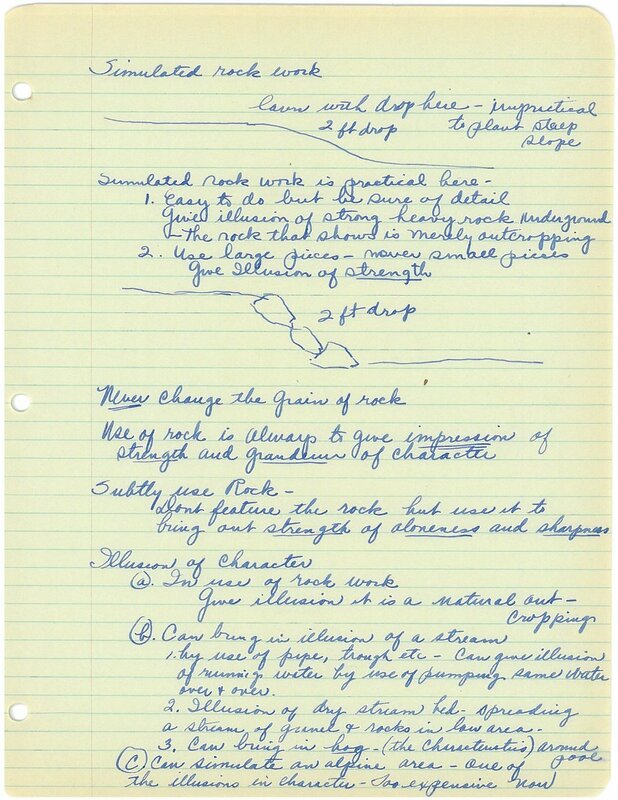 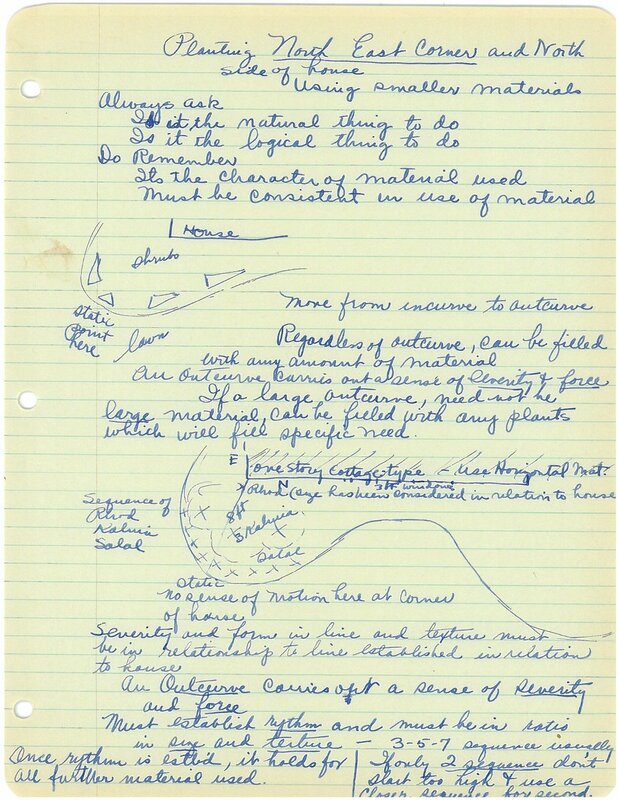 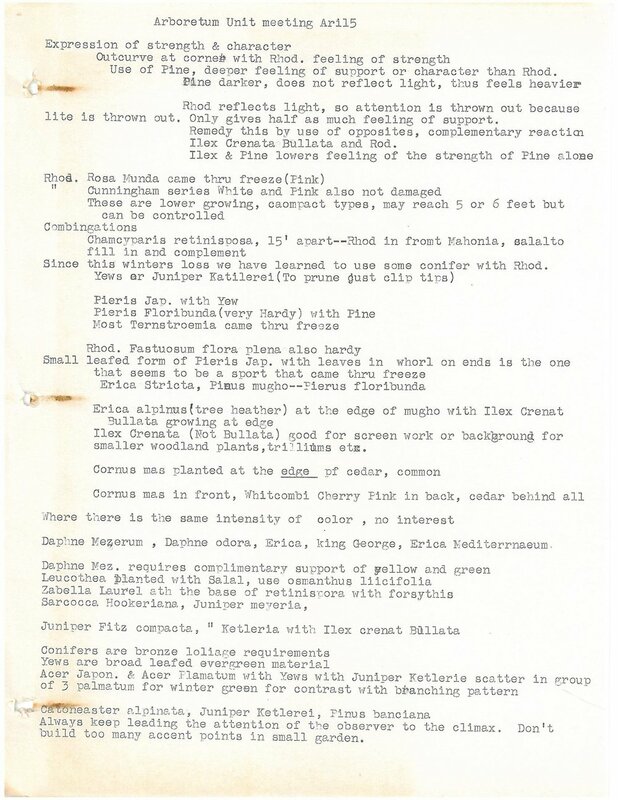 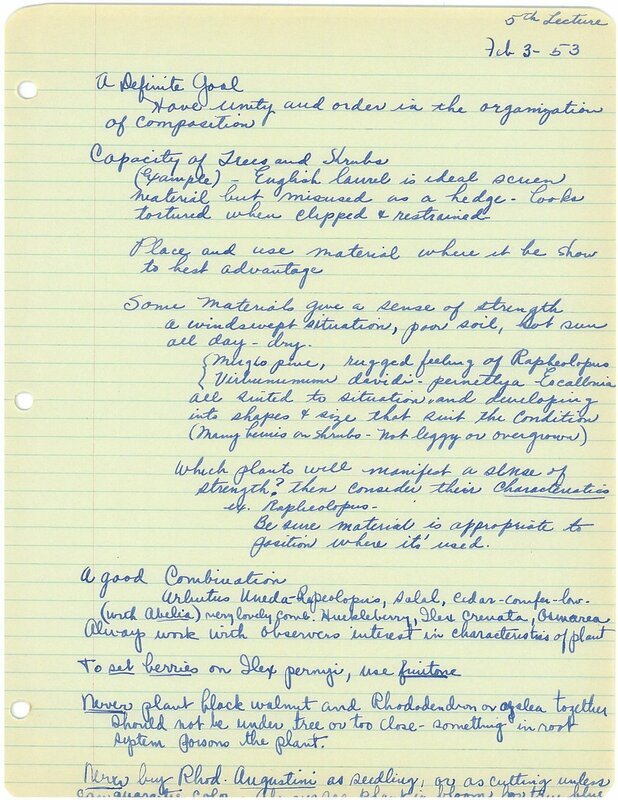 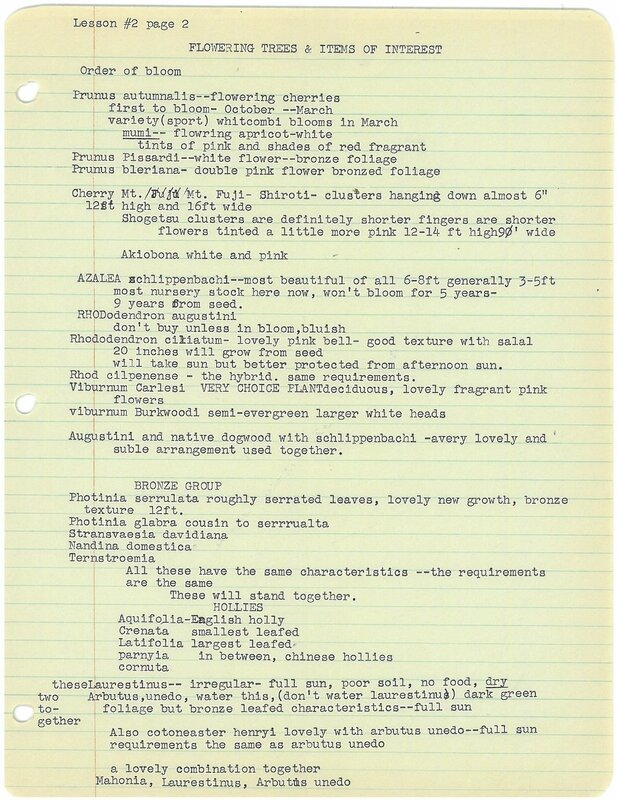 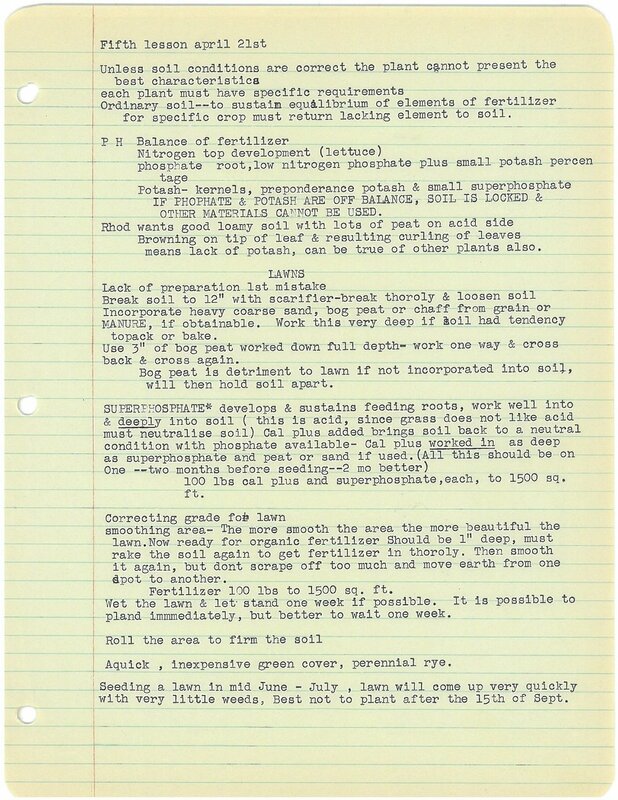 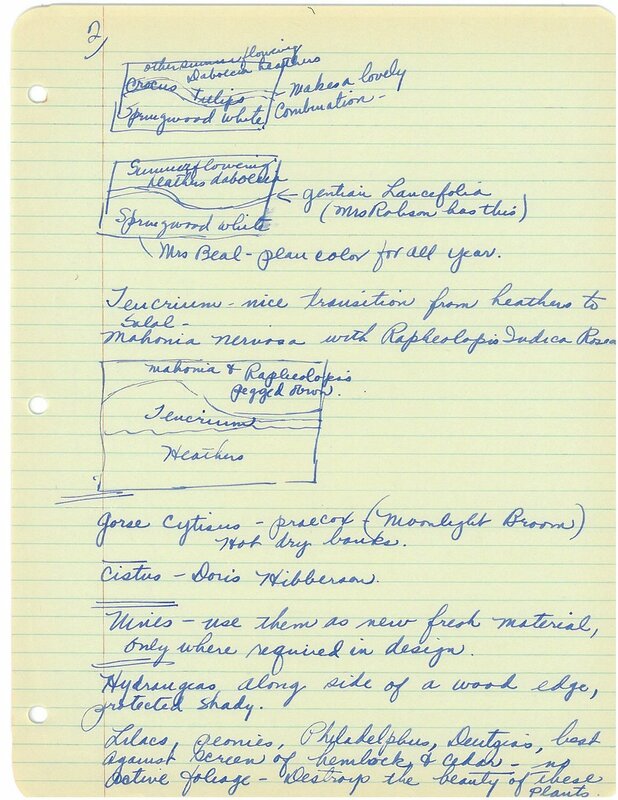 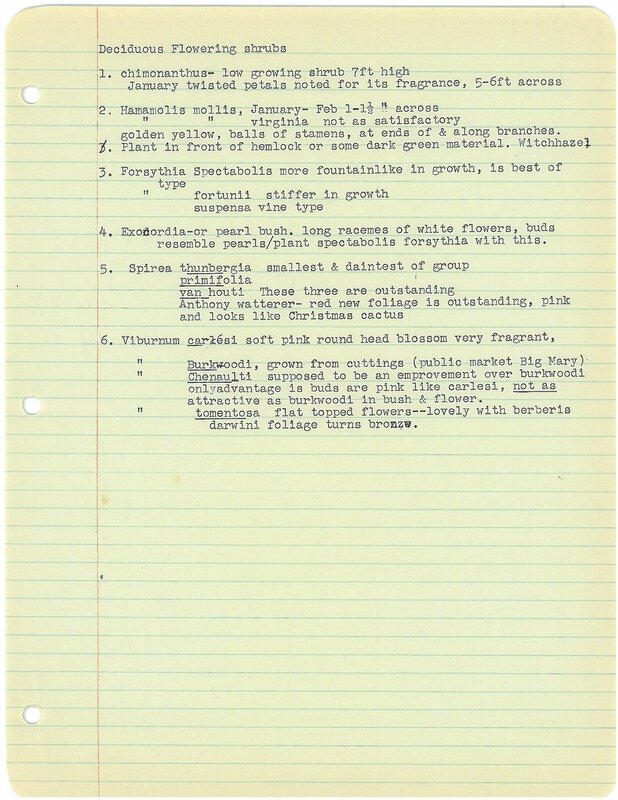 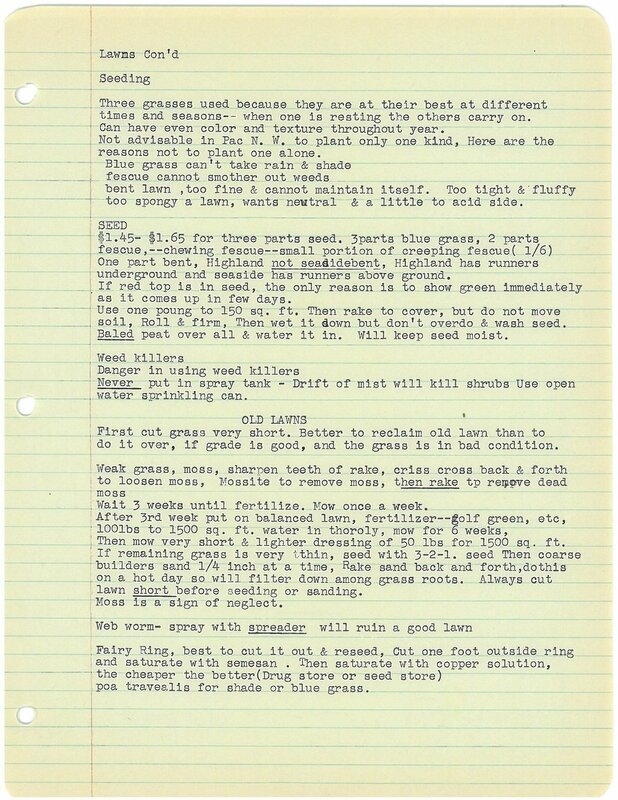 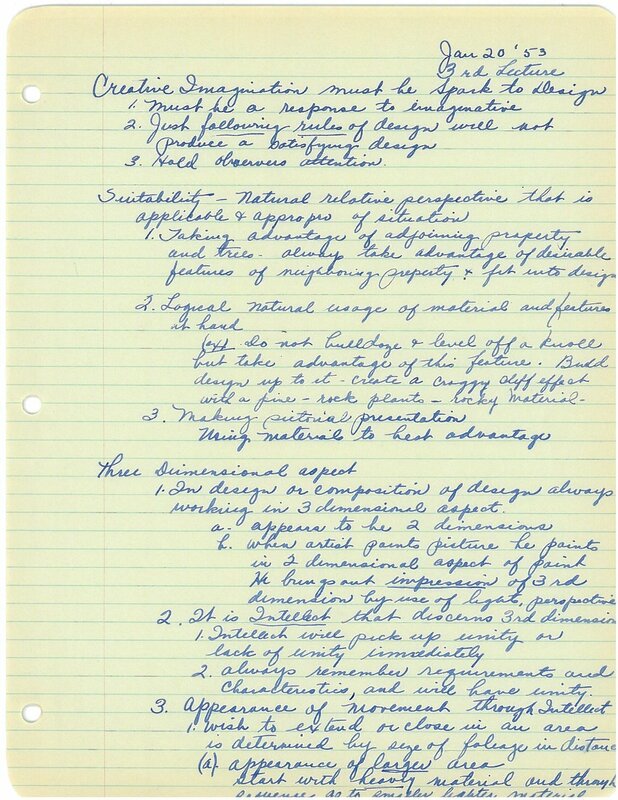 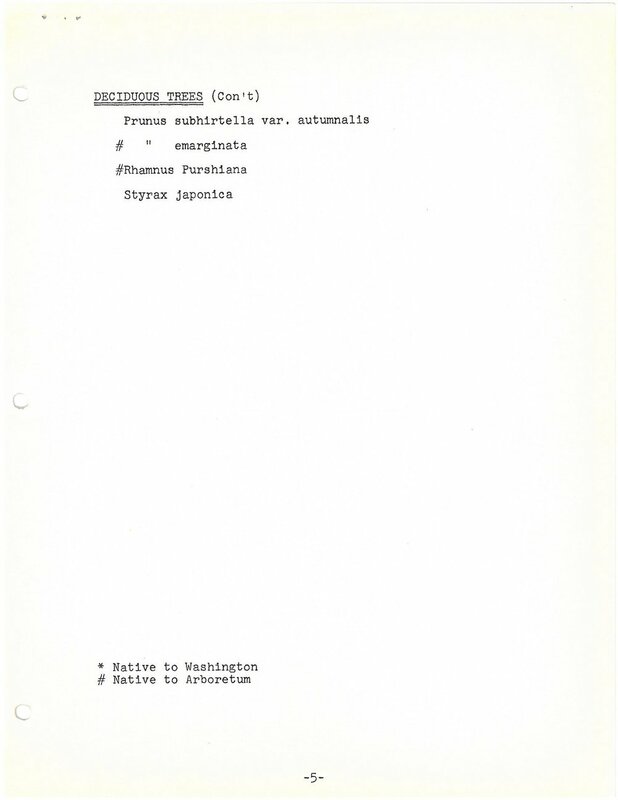 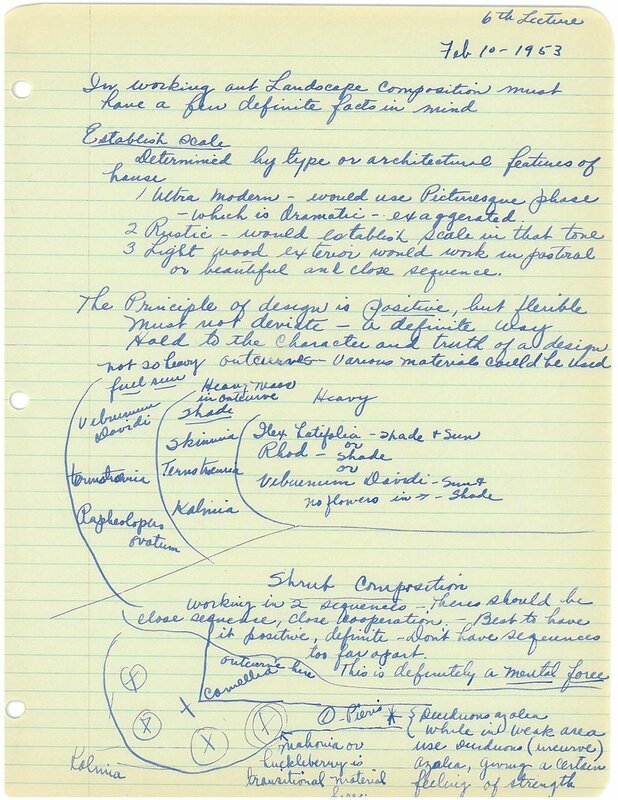 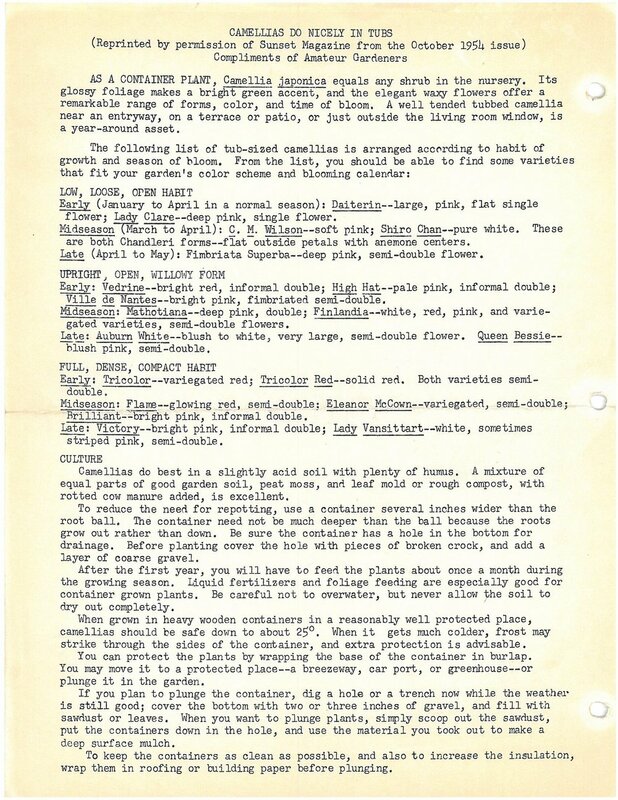 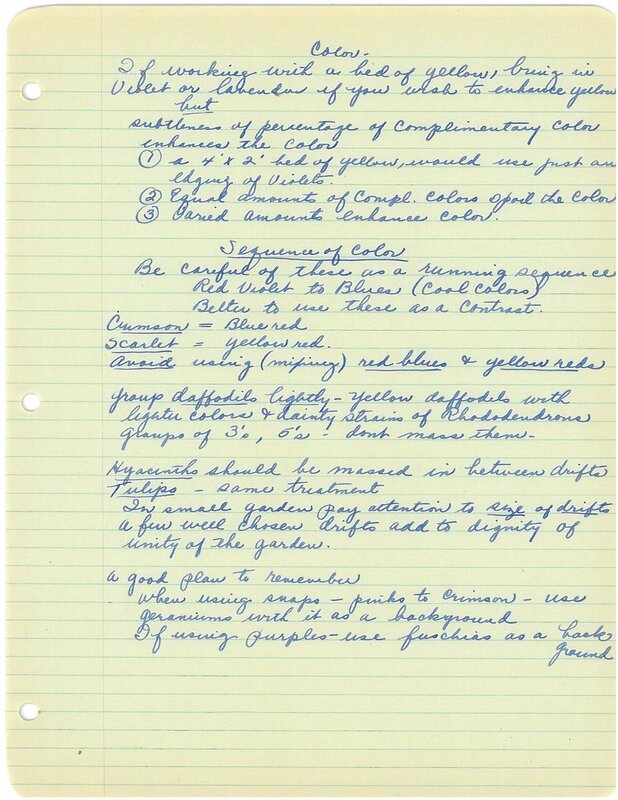 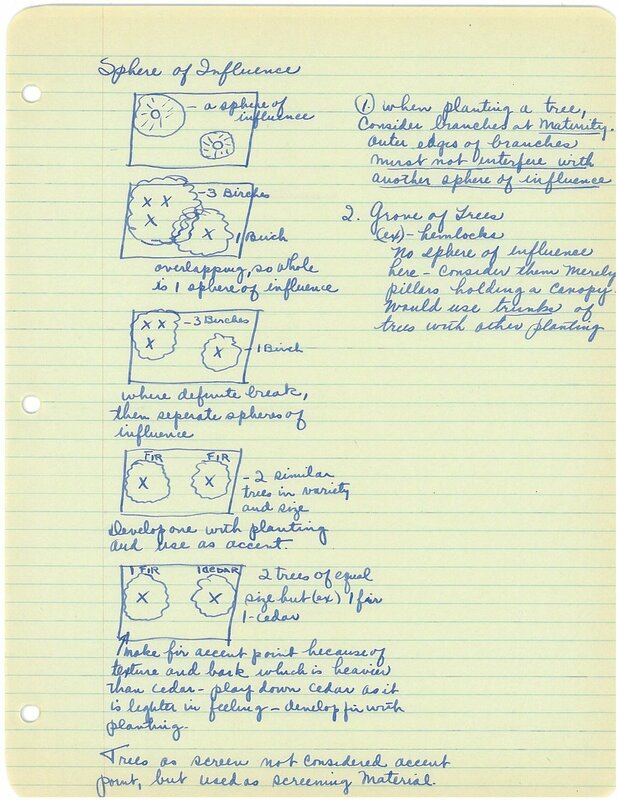 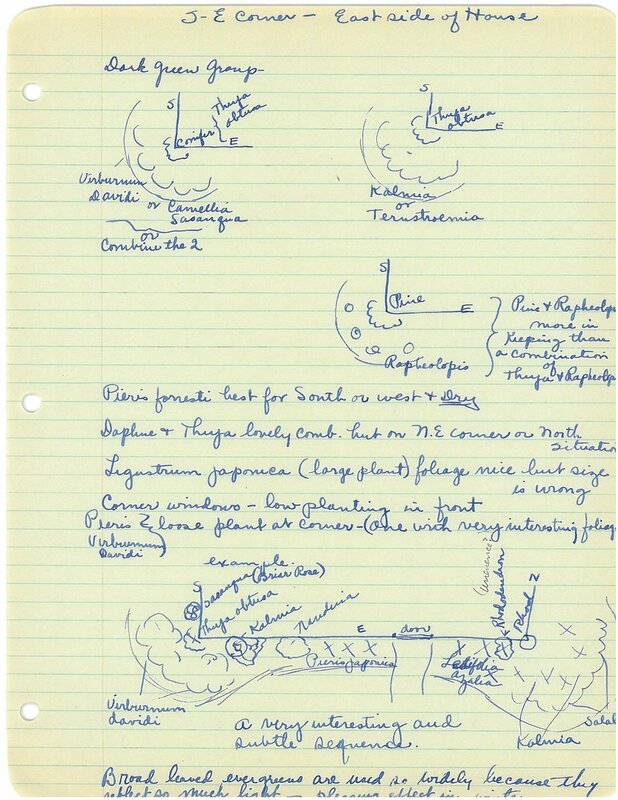 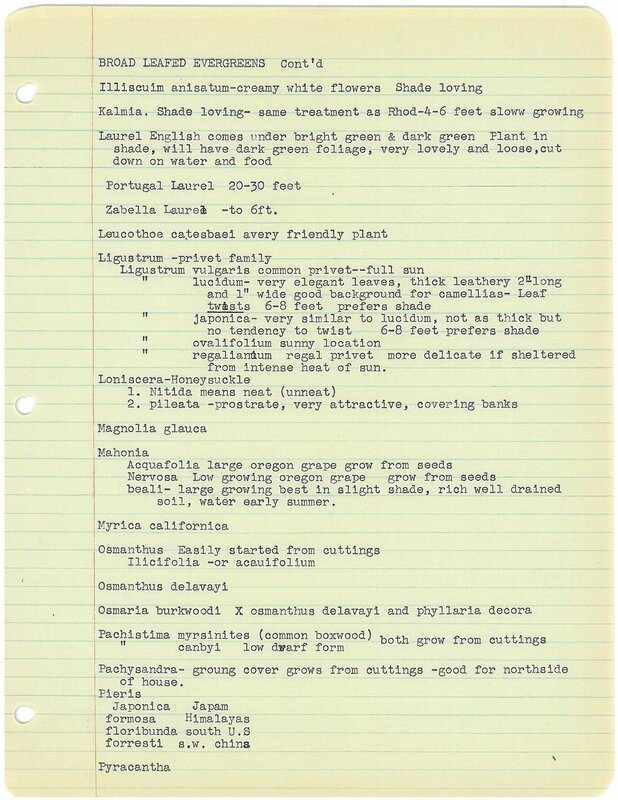 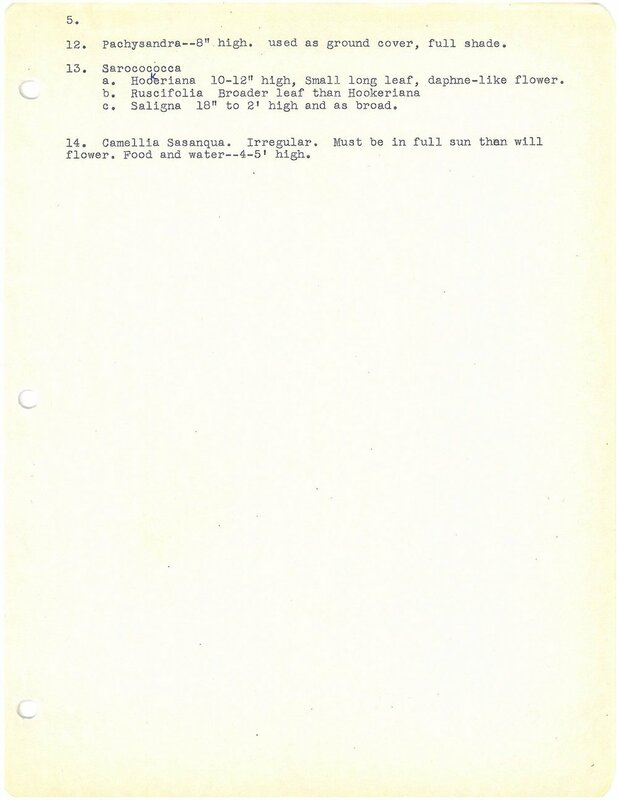 The following documents were scanned from a large binder of notes recently found in the Pearson Collection. 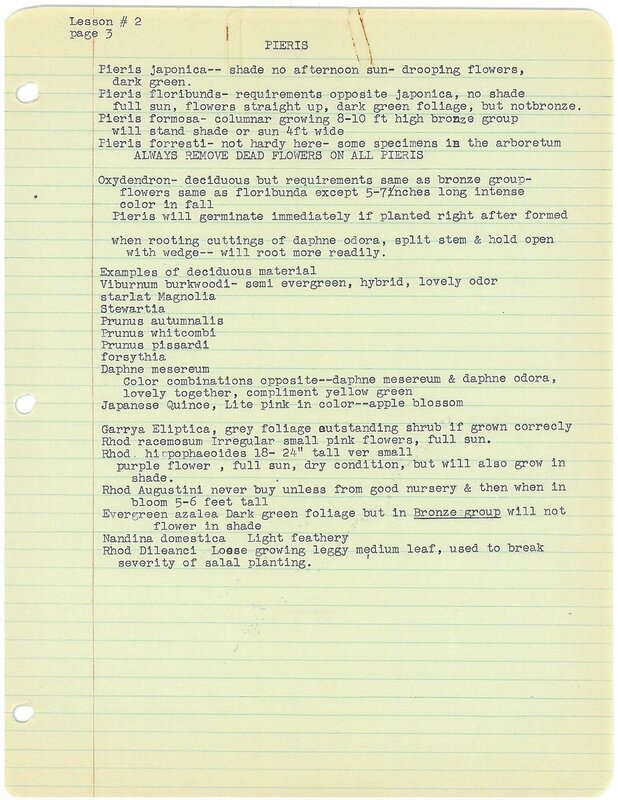 For an avid botanist or gardener living in temperate Pacific coastal climates, this information would be of high value.